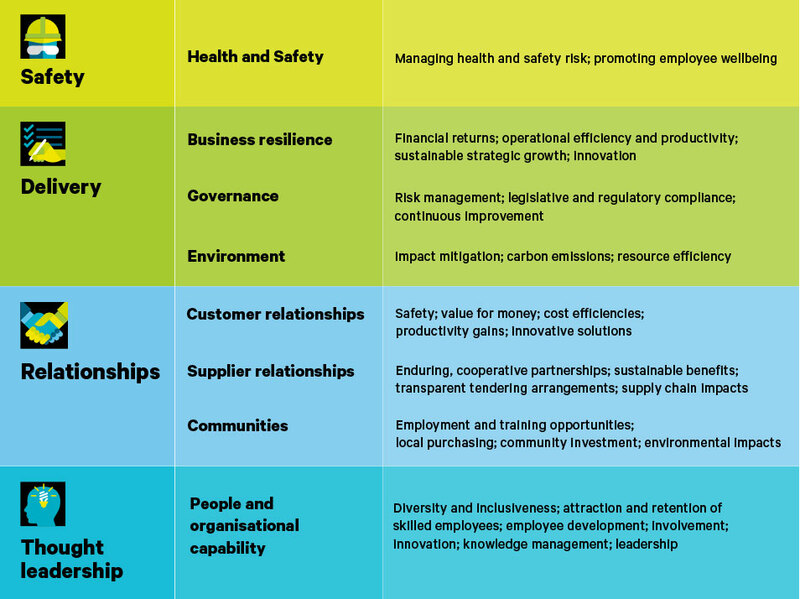 Downer’s sustainability framework is shaped by our four pillars; Safety, Delivery, Relationships and Thought Leadership. To Downer, sustainability means not only being environmentally sustainable, but it also includes the safety of our people, sustainable growth, improving internal, supplier and customer relationships and ensuring we have a diverse and inclusive workforce. Central to our sustainability approach is our Zero Harm philosophy, which at Downer means supporting the health and safety of our people, minimizing environmental impacts and supporting the community.